This is a community wide event for any PPRSC active members or paid members of the Providence Plantation Home Owners Association. PLEASE JOIN US FOR A FREE EVENT!! Join the PPRSC Social Committee and the Providence Plantation HOA for our 2nd Annual Easter Egg Hunt! This FREE event is for residents of PP and members of the PPRSC, and will take place at the Providence Plantation Swim and Raquet Club on Sunday, April 7, 2019. 2:45 p.m. Easter Egg Hunt *The easter egg hunt will be divided by age: 4 years and under, 5 to 8 years old and 9 years old and over. Due to the quick nature of the egg hunt all age groups will begin their egg hunt at 2:45 p.m. Sign up any participating children so we can ensure we have enough eggs for everyone! Please BYOB (Bring your own basket) and be on the lookout for the special golden eggs in each group. 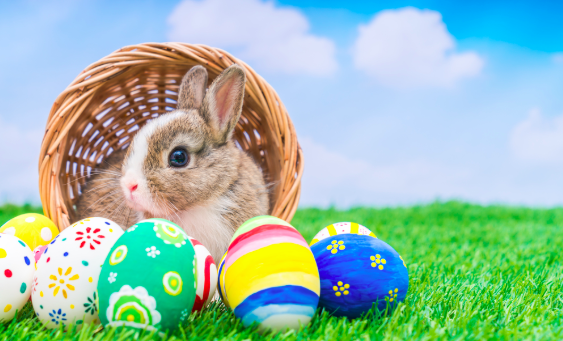 If there are any tweens or teens who don't want to participate in the egg hunt but would like to help hiding the eggs or running the crafts, you can sign them up here.